We are finally back from out trip to sunny California. It was wonderful. 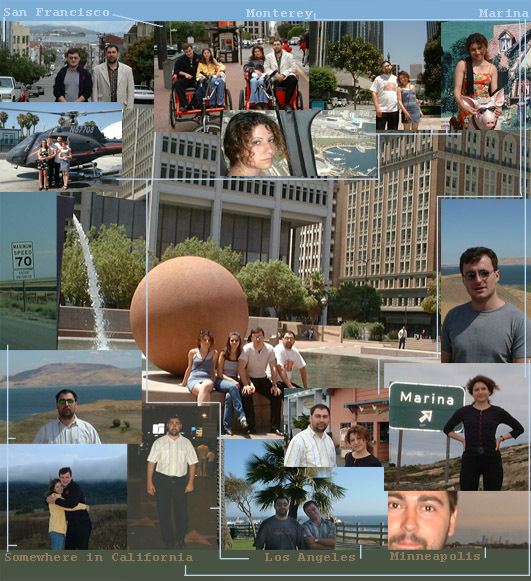 We flew from Boston to San Francisco, stayed there for three nights, drove to Monterey through Silicone Valley, stayed overnight, visited lovely town of Carmel, and then drove all the way to LA, spent there 5 days and when we were on our way back to Boston, suddenly NorthWest surprised us by canceling the flight from Minneapolis, where we were changing planes. So we Got one more night in Twin Cities. There are tons of things that can be told about this journey and we took several hundreds photos. So I'm thinking about making a little page about all this, I'll let you know when I complete it.